I am trying to somehow extract the music from my iPod and also transfer all the playlists the way I arranged them on the iPod before. 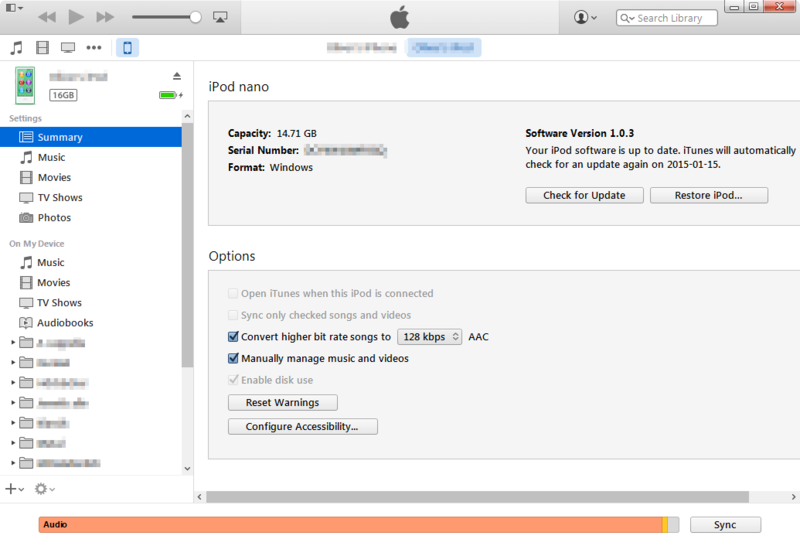 The iPod is a 7th generation iPod Nano and I am using iTunes 12 on Windows. It appears that the only option iTunes offers me that is obvious would be to wipe my iPod and then start synchronizing data from the PC to the iPod. This appears to be due to setting it to manually manage music and videos (see below). Effectively this would remove the data from the iPod and thus not leaving anything to copy to the iPhone. Now I do know that I could transfer the files from iPod to PC in my file manager (iPod_Control). If I then import those files with their meaningless naming scheme iTunes will likely pick up all the song metadata. However, this won't aid me in any way in transferring the playlists over to the new device. So how could I accomplish this without first wiping the iPod, then building an iTunes library from scratch, then transferring everything to both devices again? I've had a similar problem. The only solution I found was an application called TouchCopy12. It allows you to transfer songs off of an iDevice directly to iTunes. I'm pretty sure you are able to transfer playlists as well. You get (I think) 82 transfers before you have to register. The link to the program, as well as information about it, will be located down below. I hope this helps and good luck! Not the answer you're looking for? Browse other questions tagged iphone itunes windows-7 ipod-nano . How can I transfer non-paid music from my iPod back to my PC? is it possible to disable playback in itunes?